The Ancient Maya Civilization has been of continuous interest to archaeologists around the world, but this latest discovery could change everything we know. Buried beneath the thick foliage of tropical Guatemala, over 60,000 ancient Maya ruins have been uncovered. Hidden beneath the forest canopy, researchers have mapped over 2,000 square kilometers of houses, palaces, highways, and defensive fortifications. “The sheer scale of the Maya civilization has been grossly underestimated,” says Thomas Garrison, Ithaca College archaeologist. At its peak, the Maya civilization was thought to have been equal to that of Medieval England with a population of about 5 million people. However, with this new data, researchers believe there could easily have been 15 to 20 million people living there. This would be equal to some of the more advanced and sophisticated civilizations such as Ancient Greece or China. One of the surprising discoveries was a complex network of causeways and roads linking the different cities in the area. Raised highways also allowed for safe passage even during rainy seasons. This sprawling city was literally hidden just beneath the forest canopy. The area has been under study for years. According to researchers, they had been within just a few feet of these structures but still hadn’t seen anything. 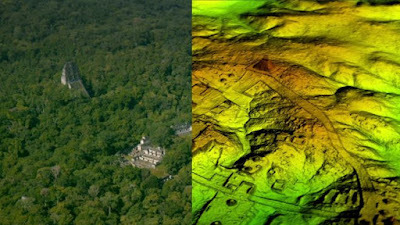 LIDAR imaging of cities hidden beneath Guatemalan jungle. Source: Wild Blue Media. 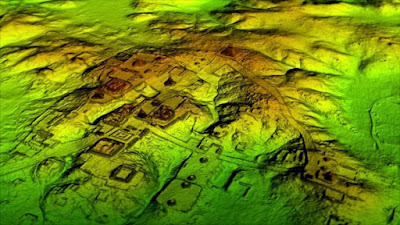 The discovery has been made using LIDAR technology. 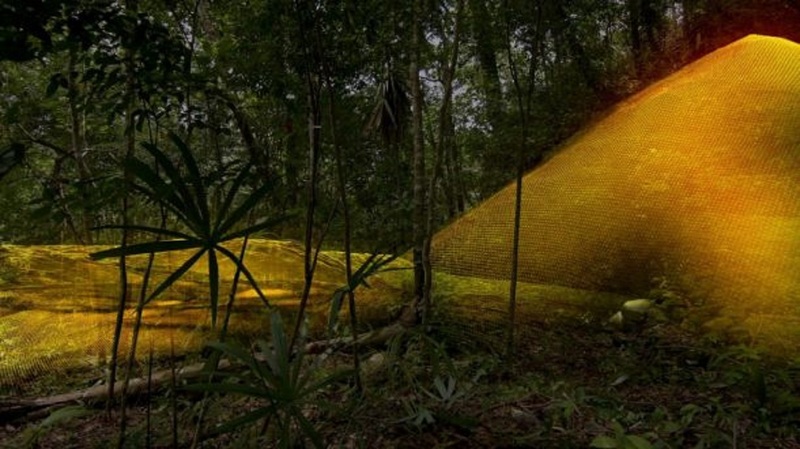 LIDAR (Light Detection and Ranging) technology uses millions of laser pulses beamed from an airplane or helicopter. By measuring the wavelengths as they bounce back, scientists are able to accurately map the surface beneath them. This technology has been responsible for the discovery of an expanse of the Angkor civilization that was still hidden in the jungles, a new network of Ancient Roman roads in England, as well as hundreds of mysterious stone gates detected underground in Saudi Arabia. "Lidar is revolutionising archaeology the way the Hubble Space Telescope revolutionised astronomy," says Francisco Estrada-Belli, a Tulane University archaeologist. "We'll need 100 years to go through all [the data] and really understand what we're seeing." The LIDAR map has uncovered nearly 3,000 years of Maya history that was hidden in plain sight. More than 60,000 ruins have been discovered. These range from your average houses where people lived, to staggering defensive fortifications, including fortresses, walls, and moats. A particularly interesting find was a 7-storey pyramid that was so covered in undergrowth that it was practically invisible. “We can expect many more surprises,” says Stephen Houston, Professor of Archaeology and Anthropology at Brown University. The findings will be explored in an hour-long documentary called "Lost Treasures of the Maya Snake Kings," premiering Tuesday, February 6 on the National Geographic Channel, and will also feature in a Channel 4 programme called Lost Cities of the Maya: Revealed, airing in the UK on Sunday 11 February at 20:00 GMT.